Vanda Electrics is a Singaporean electric vehicle company. Up until now, they have produced electric mobility products such as the quirky electric Motochimp bike and the Ant Truck. So their all-electric hypercar, the Vanda Dendrobium is a stark contrast to what the small manufacturer has introduced before. The name, Dendrobium is a species of orchid native to Singapore. Much of the concept’s design is inspired by nature, with honeycomb patterns a recurring theme. The rear-hinged roof and doors in particular are intended to echo the petals of an orchid, and look suitably dramatic as they unfold. To me, it looks more like a hornet, or wasp you might find in the countryside, because of it’s rear abdomen and visible leg-like suspension. 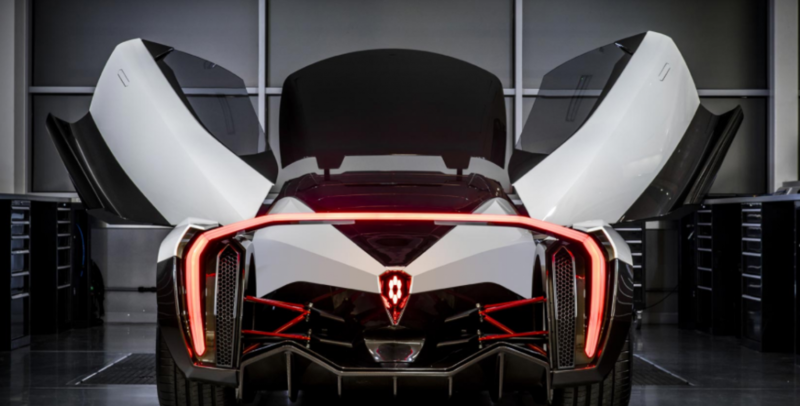 So far, the Dendrobium is a 1-of-1, and the company still shirks off questions about whether the high performance EV will ever go into production. But if the goal was to generate press for the company with a very uniquely designed, midlife crisis, they certainly succeeded. In the video above, the fullycharged host never gets to take the Dendrobium for a spin, but Vanda assures us that the F1 inspired vehicle can accelerate from 0-60 in about 2.6 seconds and has a top speed of 200 mph. It appears these numbers are subject to change, depending on what the battery and motor configuration will be in the final product. But the Dendrobium will probably be a 4 motor, at the wheels, electric vehicle. At the time of the fullycharged video, the battery pack was located behind the 2 seated cockpit, but that is subject to change. Pricing on this Dendrobium hasn’t been specified, but it is estimated to be in the millions. If Vanda follows through with production, only 10 to 20 units of this car will be produced in 2018-2020.